When Jesus taught in the hills of Ancient Palestine, he often illustrated from the landscape around him. He spoke of lost sheep, separation of sheep and goats, fields white unto harvest, seed and sower, to name a few. Jesus illustrated life and faith by the countryside around him. Just as we are called to learn from distance runners, allow me to share some illustrations from sports as well. To start with runners, one of the greatest sports accomplishments just happened a few days ago. On 16 September 2018, Eliud Kipchoge, of Kenya, ran a time of 2:01:39 at the Berlin Marathon, breaking the previous world record by 1 minute and 18 seconds. By comparison, the first marathons ran in the modern era were in 1896 and the winner ran in more than three hours. It seems that we are getting closer to the under two hour marathon. A lesson is that God given abilities with intense training can accomplish great things. We are able to accomplish great feats when we do what we were made to do, with perseverance and discipline. Most Americans sports fans are more inclined to watch team sports. Baseball season is headed into the playoffs, football has started, and basketball and hockey seasons are starting soon. Earlier this year, most of the world paid attention to world cup soccer. Each of these sports operate around team principles. The most talented team does not always win the game. Knowing one’s role and doing what the player is best suited to do, contributes to winning and success. While the church is not in the business of beating opponents (except Satan, who is a spirit), we are effective and faithful to God when we work together. Disunity and fighting in church is a problem as old as the first Century. It takes discipline and self control for us to function together as a team and help each other. Each one of us are to be a part of advancing God’s kingdom. Do you understand your role and giftedness? Are you doing your part to pray, give and participate in the local church? Will you commit to help God’s kingdom advance? God bless! This year Fort Lee Gospel Church will continue to encourage the congregation to prepare shoe box gifts for children around the world. Operation Christmas Child is a program that fills shoe boxes with school supplies, small toys, and toiletries, to be sent to children in poor and war-torn nations of the world. Our church has participated in this program for over a dozen years. Shoe boxes will be collected during the fall to be shipped out in time for Christmas, with a collection date of November 11th through 18th. Samaritan’s Purse has been sending shoe boxes around the world for many years. Plan to take part in this important ministry that God is using around the world. For details on packing the boxes, brochures are available or you can speak with Laurie. Further information on building a shoe box can be found online at www.samaritanspurse.org/occ. Be sure to check out this site. The past few years our church has prepared about 100 shoe boxes each year. We believe God will use this ministry to touch many lives, as we all participate. During the months of September, October and November, the main topic of preaching at Fort Lee Gospel Church will be Shalom. Shalom is an important Hebrew word which is most often translated as peace. The meaning of Shalom is much more than just absence of conflict. It includes the idea of completeness, wholeness, prosperity and well being. The series of messages will look at Shalom in the Old Testament as well as themes of ‘peace’ and ‘peacemaker’ in the New Testament. The scope of understanding peace and well being in the Hebrew caries over to the New Testament Greek understanding of peace. Even Jesus is called the ‘Prince of Shalom’ by Isaiah. This month we will have a Bible Reading Guide available on the topic of “Light Over Darkness.” This Guide was developed with the context of October in America where darkness is celebrated in the culture. The Reading Guide includes a reading from the gospel of John, the Psalms, and other New Testament passages. It is a 10 day Guide which is intended for use from October 22—31. It can be adapted to another timetable. 7:00 PM, Oct 7 & 21 Evening Service Our Sunday evening service usually meets on the first and third Sunday of the month. 1:30 PM, Oct 14 & 28 NYC Nursing Home Ministry A group leads a service twice a month at a nursing home in NYC. 1:15 PM, Oct 21 Seniors Ministry A group leads a service at an assisted living facility in Teaneck. 2:00 PM, Oct 6 & 20 Women’s Bible Study See page 2 for details. 5:00 PM, Oct 6 & 20 Couple’s Bible Study An 8 study session looking at what the Bible says about marriage. 6:00 PM, Oct 13 Youth Group For those in 7th grade through their teens. 5:00 PM, Oct 27 All Nations Celebration See below for details. This special event will include varieties of food, stories of faith from various cultures, special music, games and testimonies. A committee is working on the details now. They ask that you RSVP by Sunday Oct. 21 and that you plan to wear white shirts or tops in keeping with our theme verse. One of the blessings of our congregation is the diversity of cultures which define us. We look forward to an evening that celebrates our Great God who sent His Son, Jesus to bring salvation to all cultures. Mark your calendar and consider inviting a friend. We look forward to a great time. Halloween is a major event in our culture. Christian parents wrestle each year with how to respond to this event which celebrates darkness and often makes evil look like fun. First, be aware that Satan attacks children. Satan does not have a human conscience which respects the innocent. Parents must be protectors of their children. Schools, media, and the culture are not working from a Christian value system. Second, true joy and fun are God given. In the words of Jesus, “The thief comes only to steal and kill and destroy; I have come that they may have life, and have it to the full.” (John 10:10) Satan is a master imitator. He takes our desire for pleasure and twists it so that God looks boring and sin looks fun. The reality is that true joy is found in following Jesus Christ. Third, fear and phobias are real, often with roots in childhood. I do enough counseling to know that childhood exposure to evil has adult consequences. A childhood protected from horror movies, excessive violence and sexual perversions is more likely to lead to the need for less therapy in adulthood. Halloween often celebrates what is harmful. There are plenty of creative ways to enjoy the autumn season without giving Satan access to our children. 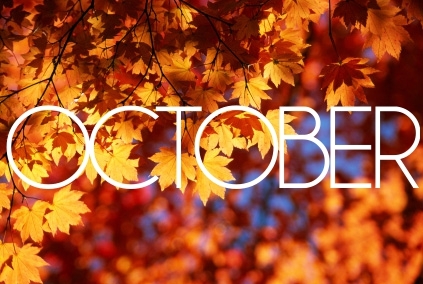 Enjoy God’s creation and I pray that your late October season will be God-honoring. May God give us wisdom to raise our children to know the love of Christ, the blessings of God’s peace, and the joy found in the presence of the Holy Spirit.